10:04 AM – Eva and Christian are fast marathon runners who live near Copenhagen (Denmark). They are also triathletes who have already participated in Iron Man Triathlons (swimming 3.8 km, bike 180 km, Running 42.195 kilometers or 26.2 miles). 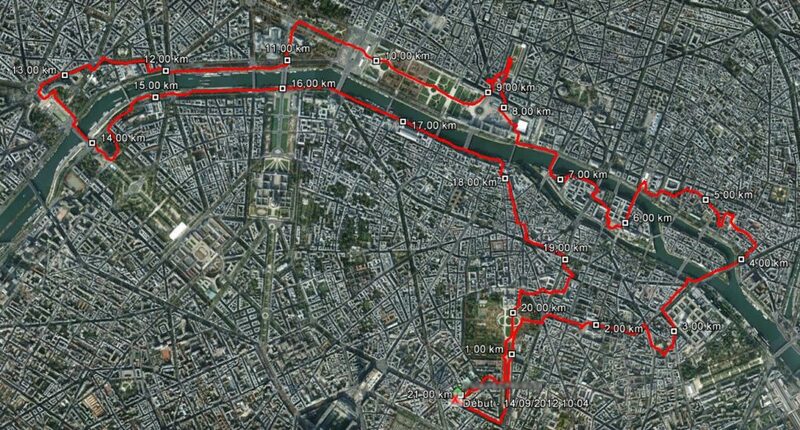 On this Friday morning, without any performance objectives, we chose to quietly visit Paris while running, however on a good distance to be able to admire as much places as possible. We finally ran 21 km, the distance of a half-marathon. Do you remember Lady Geneviève, the protector of Paris, whom we evoked recently during our Paris visit with Jennifer. You can see her to the left of the photo above, she looks to the east of Paris, the east where from came Attila and his Huns at the 5th century and Geneviève did not let them get into the City. Of the bridge of Sully, we went place of the Trocadéro, to join the Palais de Chaillot, palace built on the hill of the same name for the 1937 World fair. It is one of the best points of view on the Eiffel Tower. Back to the east, in full Latin Quarter, here is the Sorbonne, the famous and very old university of which the history begins in the 13th century. The chapel of the Sorbonne which we see on the photo below was created during the 17th century. 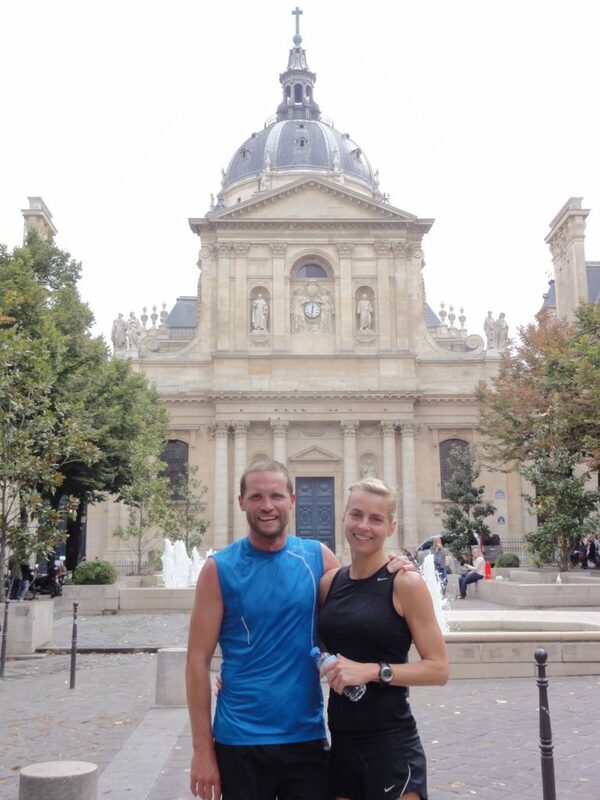 Your next triathlon in Paris, Eva and Christian? Merci Eva ! Merci Christian !